When repairing something, there are in effect two schools of thought: you can craft a repair that seamlessly blends into the original hardware and doesn’t look like a repair, or you can slap that thing together and keep it moving. A lot of variables go into this decision making process, such as the complexity of the repair, the available materials, and of course whether or not you need to keep the fact you broke the thing from your significant other. When the SIM holder on his Nexus 7 tablet broke recently, [Alex Whittemore] did the mental arithmetic and came to the conclusion that it wasn’t worth his time trying to figure out how to model an exact replacement. But he was able to print something that works well enough for his purposes, which is all that matters in the end. A perfect entry for our ongoing “Repairs You Can Print” contest. Apparently the SIM holder in the 2013 Nexus 7 is notoriously poor, and of course since this is a known issue, online retailers are trying to get as much as $100 USD out of you for a tiny sliver of plastic. Sometimes it really seems like Google was determined to run the Nexus line into the ground before bailing on it. Printing such a tiny part, especially with the little details like the channel for you to hook your fingernail into, requires a fairly well calibrated printer. 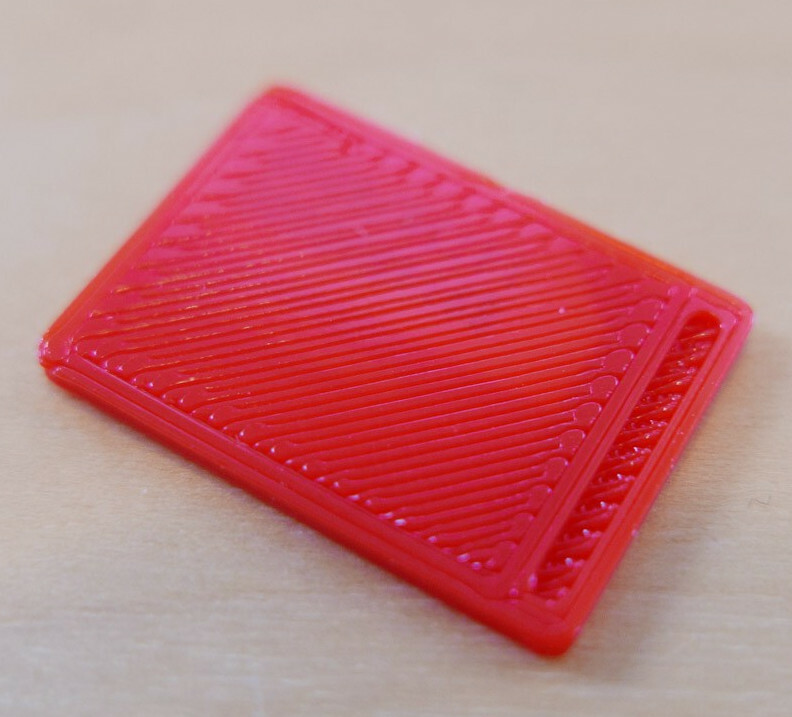 If you can’t muster up a 0.1mm first layer you might as well sit this one out; and if you haven’t mastered the art of bridging, that little valley to help you get the SIM back out may end up overflowing into a river of tears. For [Alex], the piece ended up working perfectly. It might look a little weird, but if you’ve got the tablet in a case you’ll never see it anyway. It’s also worth noting that this design may work on other devices with a similar SIM arrangement, or at the very least, might be a good starting point to work from if you’ve got to come up with your own. Remember, there’s still plenty of time to enter your own printed fix into our “Repairs You Can Print” contest. The top 20 repairs will take home $100 in Tindie credit, and for the best repair done by a Student or Organization, there’s two Prusa i3 MK3 printers with the Quad Material upgrade kits on the line. Have you ever found yourself wishing you had a clone of the Game Boy, except it was actually twice as wide, and instead of holding it in your hands you pop a tiny separate controller out of the middle and play it that way? No? Well, neither have we. But that didn’t stop [Christian Reinbacher] from designing and building exactly that, and by the looks of the finished product, we have to say he might be onto something. To be fair, the charmingly-named FatPiBoy is not really meant to be played like the GameBoy of yesteryear. It’s more like a game console with built in display; you prop the console up on something, and then remove the controller from the system and play that way. The controller itself is a commercial product, the 8bitdo Zero, but [Christian] based the rest of the system on parts intended for the Adafruit PiGRRL. For the battery, [Christian] used a 4,500 mAh pack that was originally from his Nexus 7 tablet; a tip to keep in mind next time you’re looking for a big and cheap lithium-ion battery. [Christian] notes that the case design isn’t perfect. There’s currently no external access to the Pi’s USB ports, and the recess for the 8bitdo Zero could be a few millimeters deeper. Still, we think he did an excellent job finishing the case and giving it a professional look; the case and controller look like nearly a perfect match. Tiny laptops have always been devices that promise so much, yet fail somehow to deliver. From the Atari Portfolio palmtops through to the recent crop of netbooks they have been either eye-wateringly expensive if they are any good, or so compromised by their size constraints as to be next-to-useless. We’ve seen DOS, EPOC, Windows, WinCE, Palm OS, Linux distros and more in tiny form factors over the years, yet few have made a significant mark. The prospect of a “proper” computer in your hand isn’t something to abandon just yet though. We are now reaching the point at which the previous generation of higher-end Android tablets are both acceptably powerful and sufficiently numerous as to be available at a very reasonable price. Perhaps these can provide the tiny laptop seeker with a basis for something useful. [NODE] certainly thinks so, because he’s produced a nice little Ubuntu laptop using a second-hand Nexus 7 tablet and a Bluetooth keyboard case. Android is replaced with an Ubuntu image, and a cardboard cut-out display bezel is held in place with magnetic strips. A step-by-step guide has been put up to help others interested in following the same path. 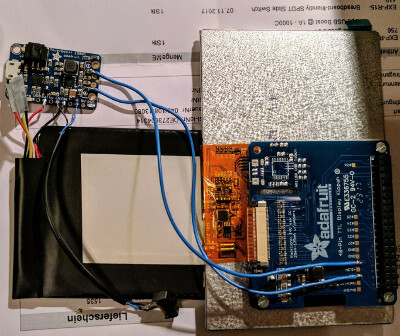 This is not the most amazing of hardware hacks, in that it involves mostly off-the-shelf items and a piece of software. However it’s worth a look because it does provide a route to a very acceptable little Linux laptop for an extremely reasonable price. One concern is that the Ubuntu version seems not to be a recent one, however we’re sure readers will point at any newer distribution builds in the comments. If you fancy a look at the finished laptop he’s posted a video which we’ve included below the break. Nexus 7 tablets, being cheap and really quite decent for the price, have long since been used in the dashboards of people’s cars. Sometimes they’re mounted quite good — sometimes not so good — but every once in a while, someone gets it right. Usually the reason mods like this don’t work out so well is because people are worried about damaging their car’s interior. But [tsubie320] had a better idea — buy a radio bezel off eBay to mess around with — that way he can always revert to stock when he sells the vehicle. [Home Brand Cola] is quite happy with his Nexus 7 with the exception of the built-in speaker. It produces fairly good audio quality until he reaches about 50% volume level. Anything above that produces distortion. He figured out how to fix it using a small piece of bubble wrap. The eureka moment came when he was using his Nexus 7 and discovered he could fix the distortion by gripping the top and bottom parts of the case strongly between his finger and thumb. This led him to realize that the speaker unit is a bit loose and the unwanted noise is produced when it vibrates against the case. The video after the break shows the fix, which places a strip of bubble wrap (looks to be about 1″ by 3″) on top of that speaker unit. When the case is snapped back together the packing material helps hold everything in place and now he can use his tablet at full volume without any problems. One of the comments on the Reddit thread asks about heat problems with the addition of this plastic. He’s been using it for a few weeks and so far no issues there.